From innovating in products and services to attracting and developing talent, 2017 was an exciting year for Three Hands. We facilitated over 7,000 hours of support from businesses, creating social impact with more community partners than ever! In our 2017 Impact Report you’ll find a series of short case studies describing how we helped businesses to develop their interns and future leaders, create more inclusive workplaces and products, and tackle major social issues through business. You’ll also see some key stats about our year and details of the difference that our projects have made to community partners. 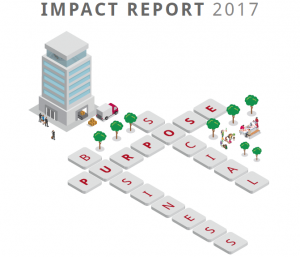 You can find the impact report here.